Where to stay in Venice? District by district, we will tell you all you need to know to help you find the best hotel for your stay in Venice! When deciding where to stay in Venice, it’s important to know a few things about the differences between its many neighbourhoods. Should you stay close to the main square, Piazza San Marco (St. Mark’s Square), or would you prefer to stay near the train station, taking into account that you will often have to walk or take a water taxi to your hotel? 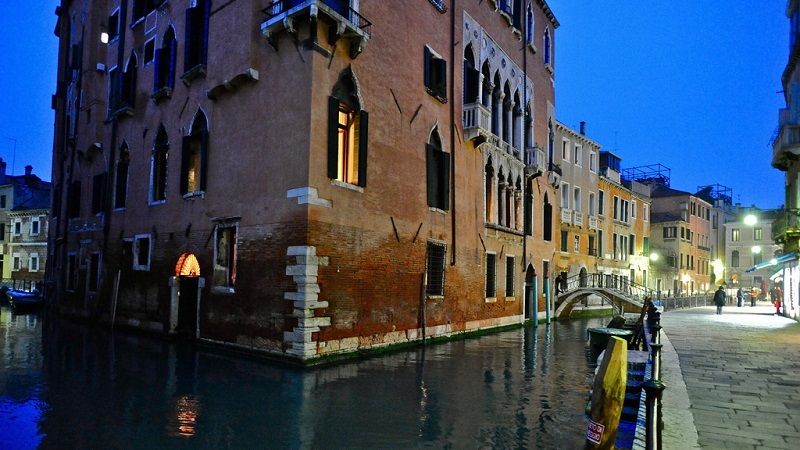 You can easily get lost in the maze-like picturesque streets of Venice. even with a good map, it won’t be easy carrying your wheeled luggage up and down the bridges, which are mostly made of steps rather than even slopes. In short, Venice really is quite unique compared to all the other cities in the world. 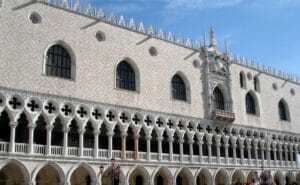 This article will help you choose the best area to stay in Venice. The main districts of Venice are Cannaregio, Santa Croce, San Polo, Dorsoduro, San Marco, Castello, and the island of Giudecca. 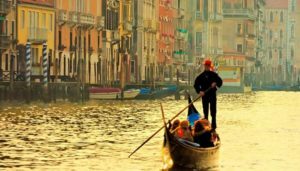 It should be noted that the most important sites in Venice are situated in the San Marco district, which is obviously an ideal place to stay in Venice, but also the most popular area for ​​tourists and therefore the most expensive. In San Marco, you cannot be more central, for better or for worse. The sestiere (district) of San Marco, which stretches from St. Mark’s Square to the Accademia Bridge, features many five-star hotels, a handful of smaller hostels, a few high-end boutiques and art galleries, and attractions you won’t find anywhere else. 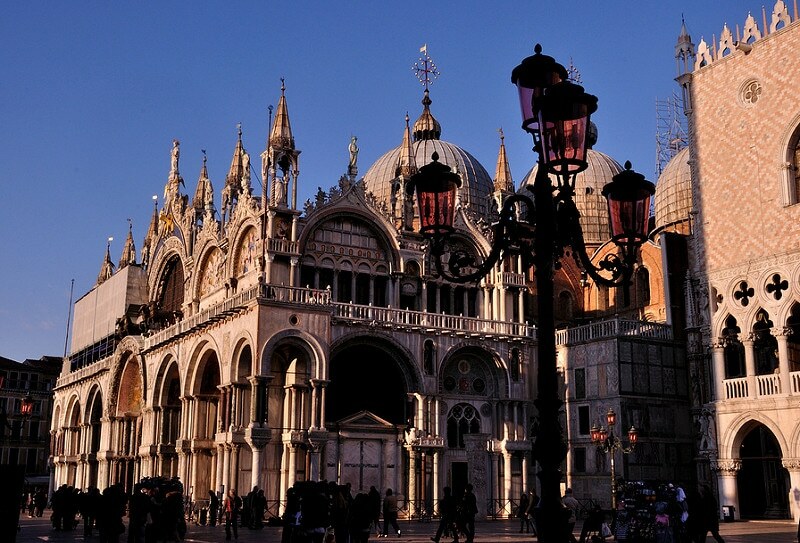 San Marco is home to Venice’s most iconic monuments, yet it also attracts hordes of tourists who come to admire them. Extending from the busy promenade of Riva degli Schiavoni to the narrow streets around the Church of San Francesco della Vigna, Castello includes the residential areas close to via Garibaldi (the neighbourhood shopping street, where you can get a taste of Venetian cicchietti, the local tapas) and the Arsenale, a complex of former shipyards. The area is also home to beautiful churches and great restaurants. This sestiere offers many interesting things, all accessible within roughly fifteen minutes walk from San Marco. It is an ideal neighbourhood to save on your accommodation budget. With its quiet canals, the Cannaregio district might seem a little dull at first. And yet, not at all! Quite the opposite in fact. In the evening, these same canals witness a bustling nightlife, with overcrowded trendy bars and cosy restaurants. Cannaregio was the old Jewish ghetto, whose beating heart is the Campo del Ghetto Novo. It’s no secret that this neighbourhood has become a favorite haunt for artists and artisans, something you will not fail to notice when wandering through the narrow streets and passageways of the sestiere. Located not far from St. Mark’s Square, the area offers a good compromise and definitely one of the best areas to stay in Venice. San Polo, with its Rialto market and its bridge of the same name connecting it to the city’s right bank, merges almost imperceptibly with the quieter and more residential area of ​​Santa Croce. 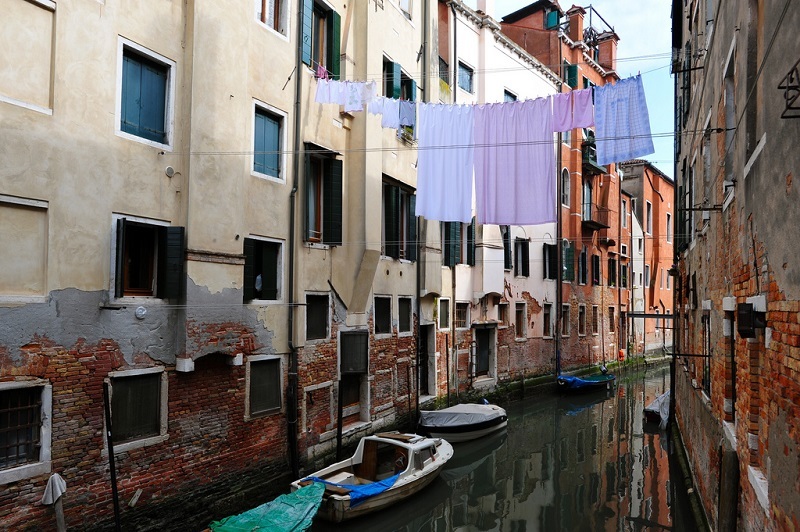 The neighbourhood’s array of small hotels are ideal for travellers who wish to immerse themselves in the “real” Venice. It will take quite a long walk to reach the most famous sites of Venice, but the walks here are always so nice. Finally, Santa Croce, which makes up the “industrial” western part of Venice, is bigger than its neighbour San Polo. Much less interesting from a touristic point of view, it is however more modern than most of the neighbouring districts. In its eastern part, Dorsoduro exudes an artistic sophistication that attracts a host of artistically minded people. 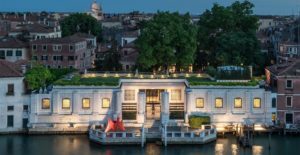 From the works of the Grand Masters of the Accademia Gallery to the ultra-contemporary works at Punta della Dogana, along with the modern art displayed at the Peggy Guggenheim Foundation, there is something for everyone here. But Dorsoduro is not just a place for art lovers. 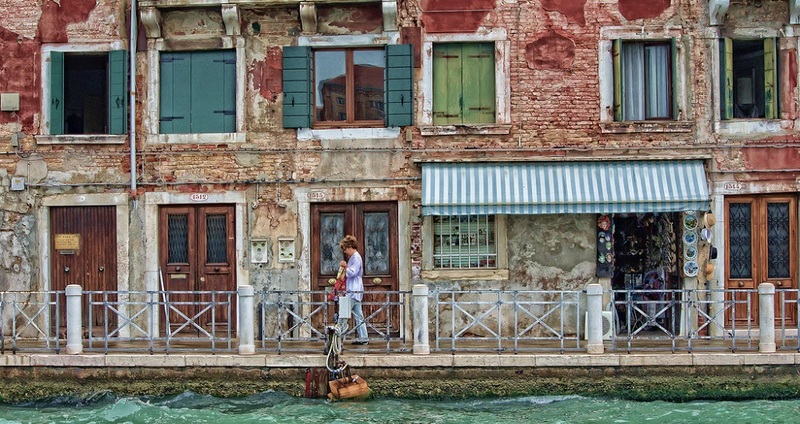 The district is also home to the Squero di San Trovaso, one of the last Venetian gondola construction workshops. To the west of this neighbourhood, you will find a myriad of cool bars and excellent restaurants. Located opposite the Dorsoduro district, separated by a 300-metre-wide canal, the formerly industrial island of Giudecca is now experiencing a major revival. 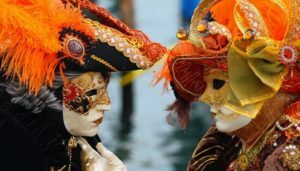 Secretly trendy, the island is gradually being taken over by young local hipsters while the tourists come here to take advantage of lower prices, well below those in other parts of Venice. Alongside the biggest hotel names, you’ll find an array of youth hostels. 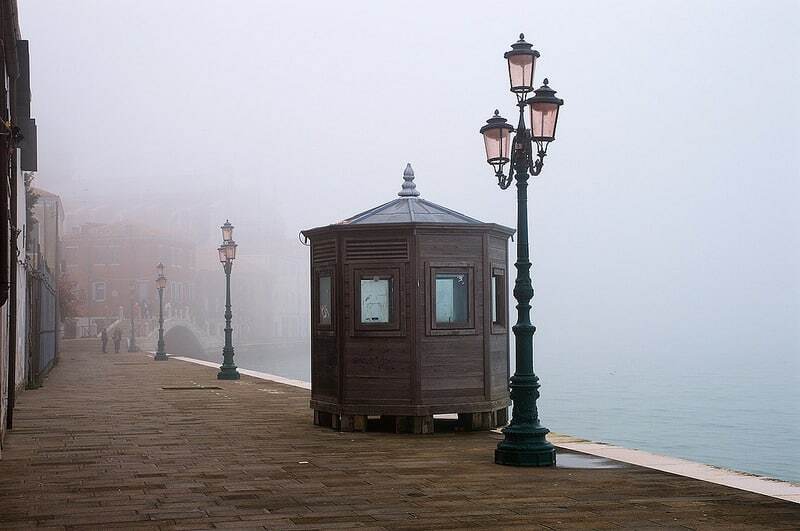 Yet don’t think that Giudecca is becoming bourgeois, the island still retains its original authenticity and charm. Mestre is part of the mainland of Venice. If you’ve ever seen modern suburbs around Italian cities, you’ll know ​​what to expect. You may consider staying in Mestre, but unless you are visiting friends or family, or need parking for your rental car, do not stay here. The area is certainly more affordable than other districts, and Mestre is not that bad. The neighbourhood has a beautiful square and one or two pleasant streets. It is connected to Venice by train and bus. But if you are here to see Venice then you should stay in Venice, or at least on the Lido. 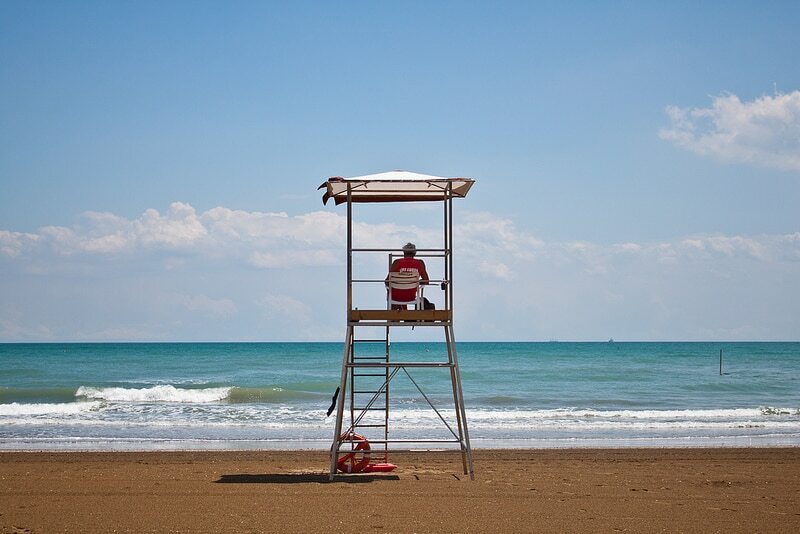 The Lido is an island, a long narrow strip of land that separates Venice from the Adriatic Sea. It was developed as a seaside resort in the early twentieth century. Its long beach is not the most beautiful in the world, but it satisfies thousands of sun-seekers every summer. The atmosphere on the Lido is very different from that of Venice: there are avenues, roads, cars, and sidewalks. You can rent bicycles. Boats regularly cross the lagoon between the Lido and Venice, so you are not totally cut off from the city centre. It takes 20 minutes for the boat to reach San Marco Square. Click below to find a hotel on the Lido.